I found out some very exciting news last week, but wanted to share it with the lovely ladies(and gentlemen) in my local Modern Quilt Guild, before sharing it here. Well, we had our meeting last night, so it’s time to share with you all as well….. 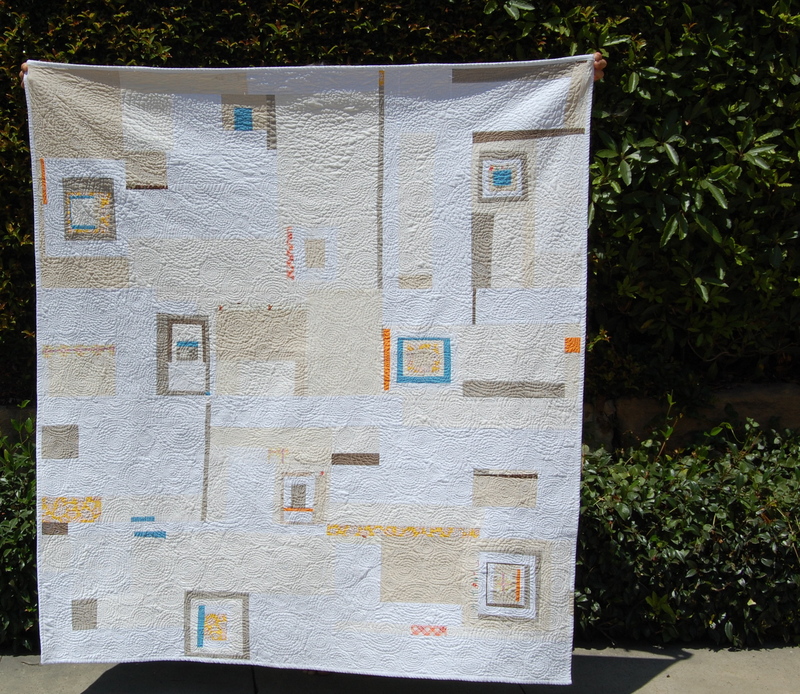 I am so very honored and excited to find out that my “What’s For Breakfast” Quilt was chosen to be in the Modern Quilt Guild Showcase at the Houston Quilt Market this fall!!! Wow–really?? Someone pinch me!! 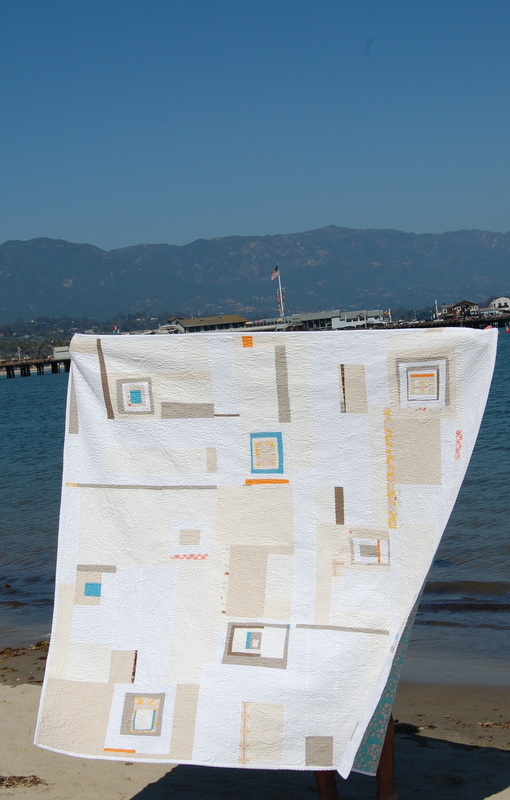 The 33 quilts that were chosen will also be traveling to various other quilt shows and markets. It’s pretty exciting news for me and my quiet little improv quilt. A little off topic, but I couldn’t help also sharing the genisis of my blog title inspiration. 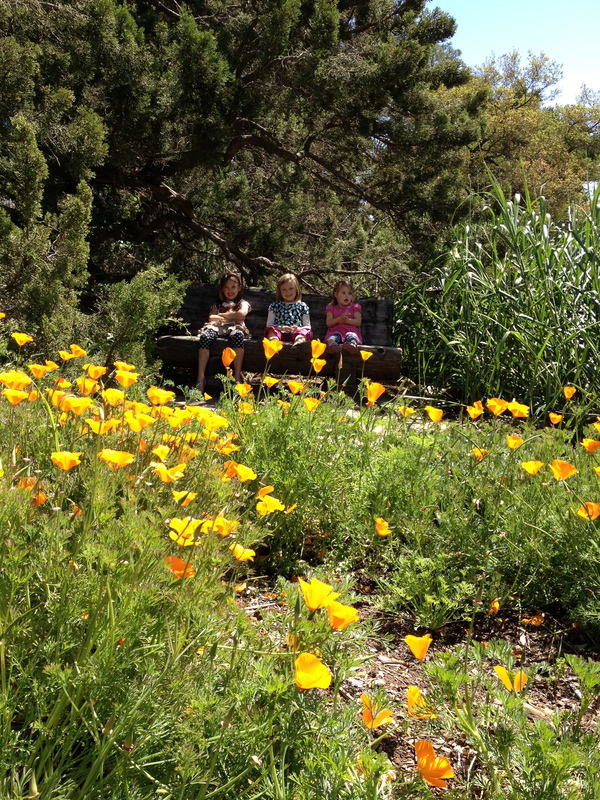 My three little “blooming poppies” and I spent a bit of time at our local Botanic Gardens- a favorite little day trip destination for us. 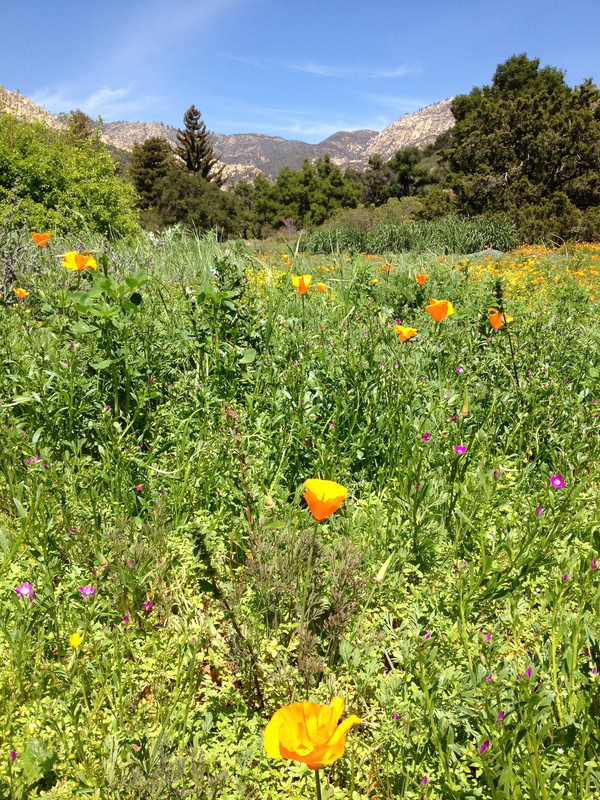 It is in it’s full spring glory right now with poppies, and catcus blooms and the like. Our state flower however, the prolific California Poppy is definitely most prominent….. and blog title inspiring apparently! So proud and excited for you Karen! Great, exciting, and well-deserved news for a wonderful artist. You are so deserving of this. So proud. What a nice early birthday present! You are going places Mrs A! Tickled to be along for the ride as a friend witnessing your creativity and success! That’s so great for you! I knew one of your fabulous quilts would be in there! Well done, busy Mom. Pin this to your scrap board and celebrate! Yay. What great news for you. So well deserved as it is a beautiful quilt! How awesome!! Your quilt is fantastic and it totally deserves to be one of the 33!! great d e s i g n great q u i l t i n g I’m a fan!